You can also follow @NailsByAnAggie on twitter for more pics. There's tons of ideas out there! 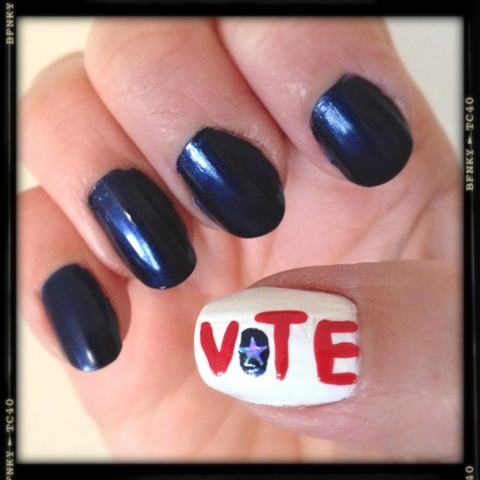 First up is my Election Day mani-regardless of your affiliation, get out and Rock the Vote! 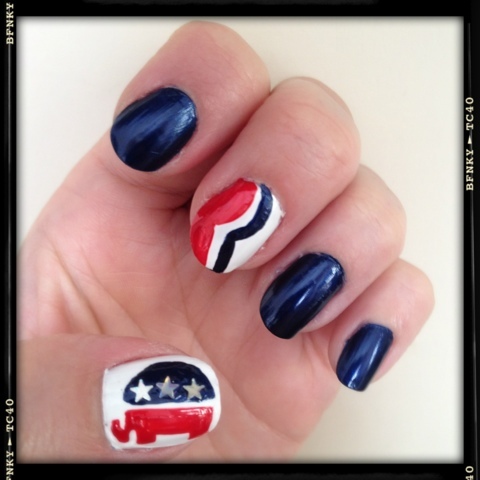 But as you can see I'm clearly *not* bi-partisan :) Who says Katy Perry gets to have all the fun?? ?